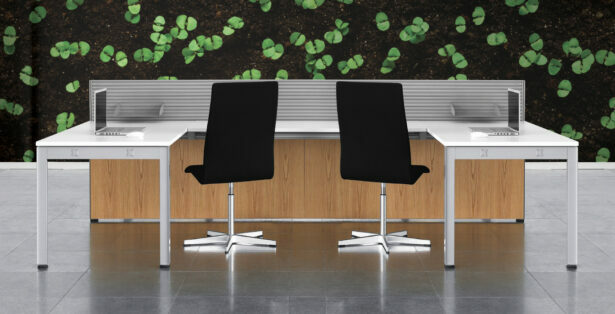 Our Adapt range gives you absolute versatility in office furniture. By fitting any business model, Adapt allows you to change when your needs change – with minimum disruption or downtime. Your workplace is an ever-changing environment. From shared spaces and hot-desking to communal and meeting areas, you need an office furniture solution that can adjust to your needs with ease. With Adapt, you get a solution that is visually beautiful and versatile. Working to all industry standards but with an almost unlimited freedom, it has modularity at its core and can fit any space. Adapt is backboned using a central beam which operates as the heart of the system. And here, all the attachments for monitors, desk accessories and cable management are located, leaving your worktops free and uncluttered. This way, you can control costs by sharing components and making full use of the beam for all attachments, while continuously fine-tuning the system to your different working patterns. This system is designed to ensure cables are routed and configured out-of- sight using a central basket. When IT is initially installed, this is done without the worktops in place. When you need to change or re-route cabling, the worktops slide out, enabling fast access and easy re-configuration. 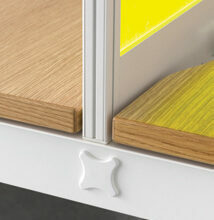 Drop down-baskets and bespoke risers allows Adapt accommodate any IT scenario. While rigid screening is not a core component of the system, separation and privacy options come in a wide variety of highly attractive finishes. 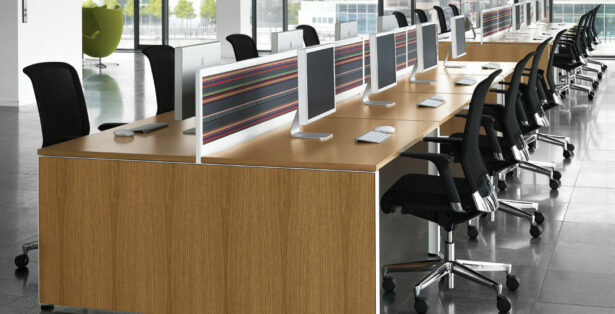 You can also adjust the height of worktops to ensure maximum comfort and productivity for every staff member. From basic to enhanced assemblies, Adapt gives you the ability to configure and re-configure with ease.